Whether you were born in the summer of ’63 or ’93, you probably know that rock ‘n roll, civil rights, and flower power all came of age in the 1960s. But how much do you really know about this pivotal decade? Take the quiz (without the help of Google!) and find out. This Argentine revolutionary rose to influence in the 1960s. Who is he? Which birth control contraceptive was first introduced in 1960? What was the highest grossing film of the 1960s? Who murdered Dr. Martin Luther King Jr. on April 4th, 1968? This still-popular muscle car was launched in 1964. What is it? John F. Kennedy was assassinated in November 1963 while riding in his motorcade in which US city? Who led the "British Invasion" in February 1964? This man was named music Artist of the Year in 1968 by Billboard. He was known for overdriven amplifiers, high volume, and high gain on high-level guitar solos. He helped popularize the use of a wah-wah pedal. Who was he? President Johnson signed the Civil Rights Act of 1964. What did it do? What dictator did the CIA fail in an attempt to overthrow in 1961, now called the Bay of Pigs Invasion? Which entertainer did NOT die in a plane crash in the 1960s? Which television innovation came along in the 1960s? In July 1969 the first manned space mission, Apollo 11, touched down on the moon, and Neil Armstrong is the first man to ever walk on the moon. Which of the photos below is Neil Armstrong? How many U.S. presidents were in office during U.S. involvement in the Vietnam War? 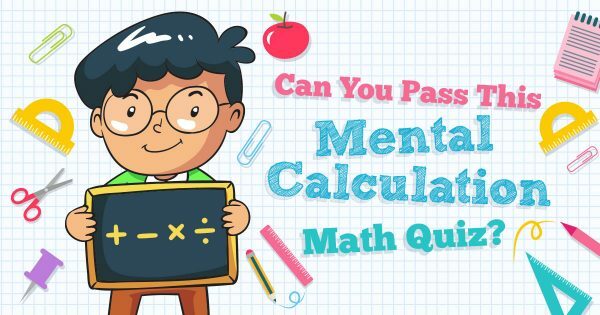 ✏️ Can You Pass This Mental Calculation Math Quiz?